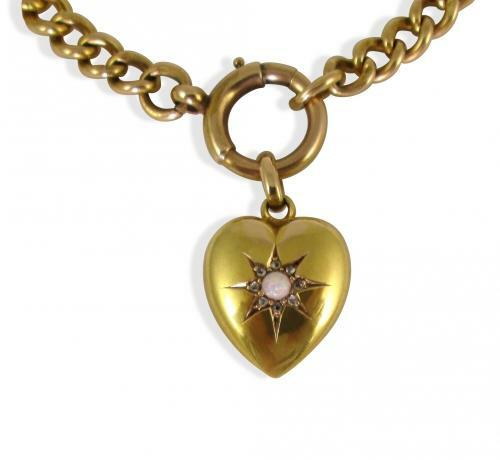 An antique yellow gold and opal heart bracelet. 18ct gold curb link bracelet with 15ct gold puffed heart attached. Centre opal is surrounded by 8 small diamonds.